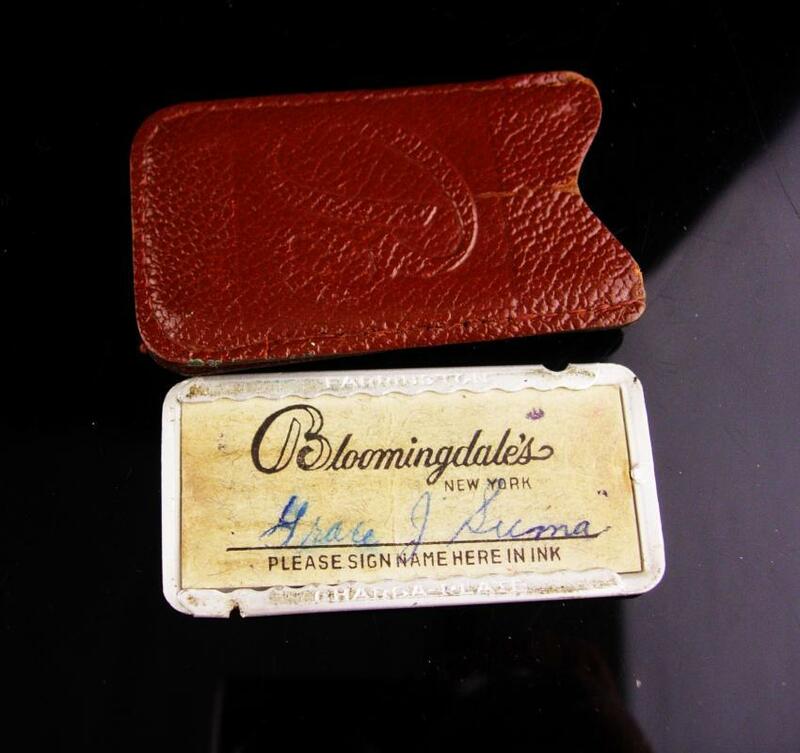 The Charga-Plate, developed in 1928 (invented by the Farrington Manufacturing Co) , was an early predecessor of the credit card and was used in the U.S. from the 1930s to the late 1950s. 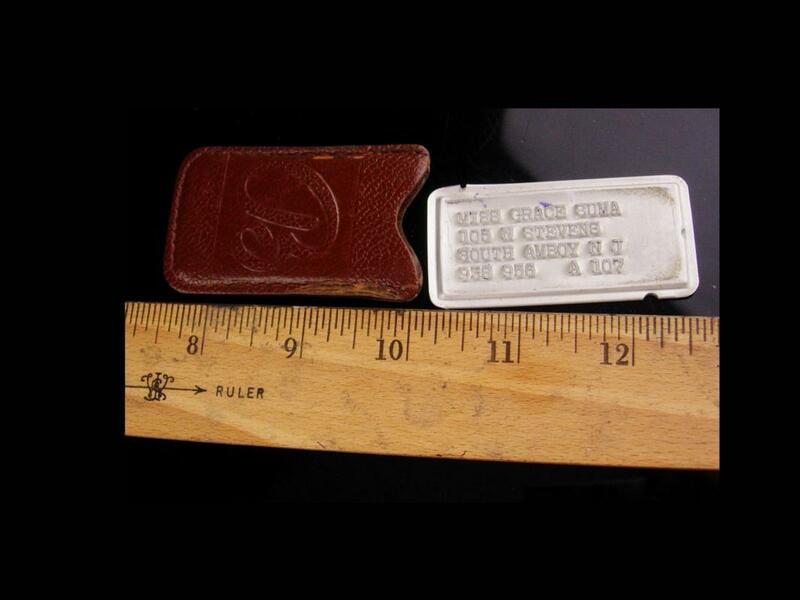 It was a 2&frac12;" × 1&frac14;" rectangle of sheet metal related to Addressograph and military dog tag systems. ... 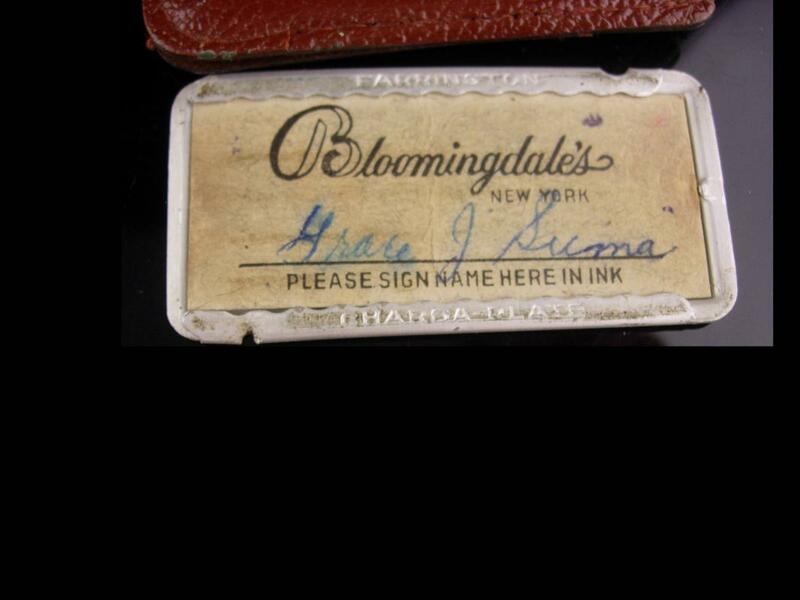 It held a small paper card on its back for a signature. By the early 1900s, and even the late 1800s, some stores might issue charge cards, coins or tokens for customers to use only in that specific business. These were mostly processed manually, and debt was tracked in a paper ledger. Some larger stores did have a sort of press machine that made an imprint of a charge plate or token, but this still did not really qualify as automated processing. 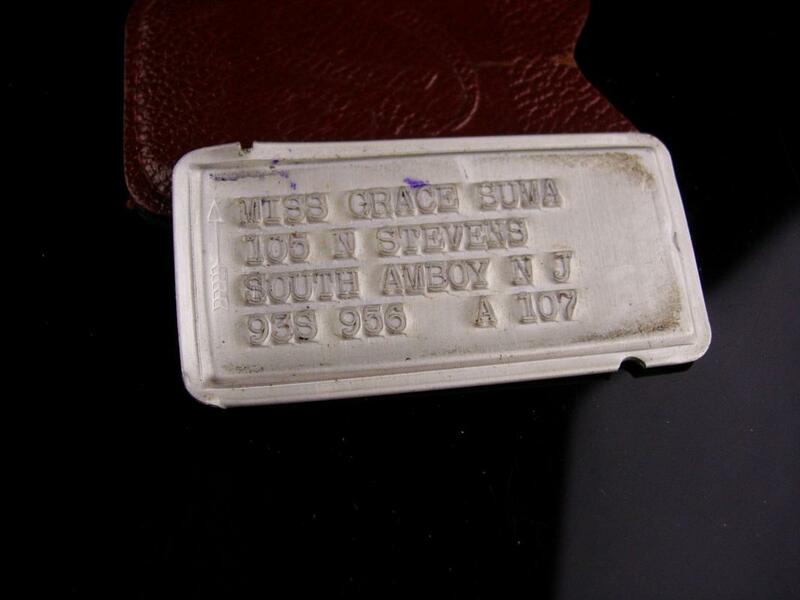 The store notched the metal edge of the plate to indicate validity for a particular month. The rough edges of the notch were known to rip fabric and run nylons!